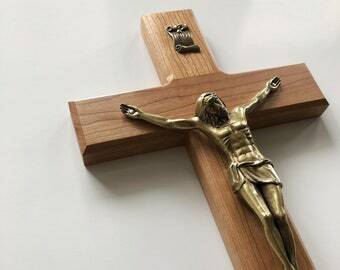 Home furnishings handcrafted from wood. Announcement Hello! Welcome to the shop of Furnished by Frassati! Most items are Made to Order | All items are handcrafted by me-Joseph! If you are on social media, please connect with us! • Please "like" our page to see photos of our products and learn about upcoming events with our shop. • Follow us to see day-to-day activities and behind-the-scene specials of what goes into creating your products! Thank you for viewing our store! Hello! Welcome to the shop of Furnished by Frassati! 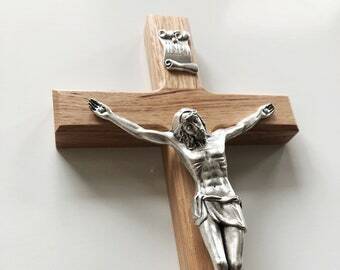 Wall Crucifix - Wood Crucifix - Baptism Gift - Catholic Gift - Wood Cross - Husband Gift - Wooden Crucifix - Wooden Cross - Crucifix - 10"
Wood Wall Cross - Wooden Cross - Wall Cross - Wall Crucifix - Husband Gift - Large Cross - Baptism Cross - Cross For Wall-15"
Love it! 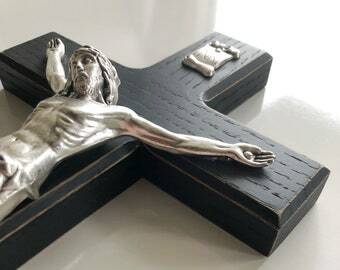 Beautifully made, great Crucifix, will buy from again! A small batch of crosses and crucifixes gluing up! 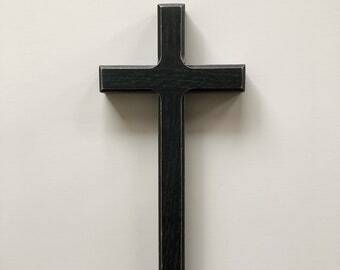 For bigger crosses (24”+), we put the Colt to work to create the beveled edges. We’ll have these in our shop soon, along with some other wood species and size options! 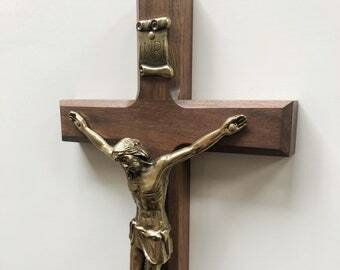 Hoping to add some more options for wood choice for our crosses and crucifixes! Here we have cherry, red oak, and a red cedar gluing up. 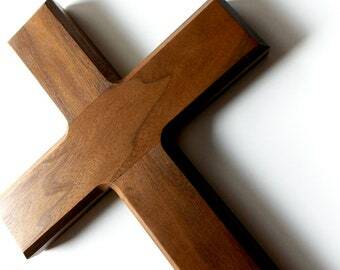 Wooden Cross - Wood Cross - Husband Gift - Wall Cross - Christian Gift - Christian Cross - Religious Cross - Baptism Cross-15"
A custom crucifix for a soon-to-be priest. 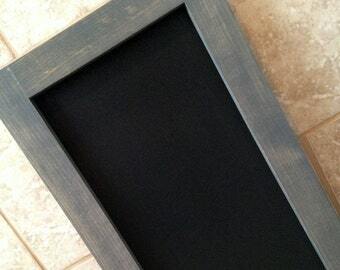 We make chalkboards in all different styles and sizes. 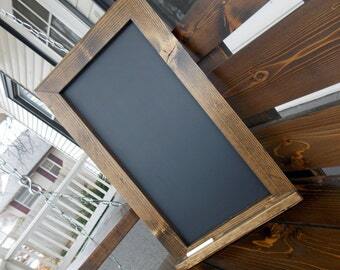 Our 16x12 chalkboards are great for those last minute memos and notes! I am a stay-at-home father who has a passion for woodworking. When we decided it was in our family's best interest for me to stay at home with our oldest daughter, I wanted to find a way to help support my family. I needed flexible hours, and also to be very close to home in case my family needed me. Lo and behold, a small idea has become a big part of life. To say this is a one-man-show would be completely false! My loving wife is always by my side, and my daughters' faces give me the motivation to put on that apron and start making sawdust. If you would like to see what goes into making your items, bits and pieces of our lives, and learn about our giveaway events, then connect with us on social media! Thank you for viewing our store; peace! 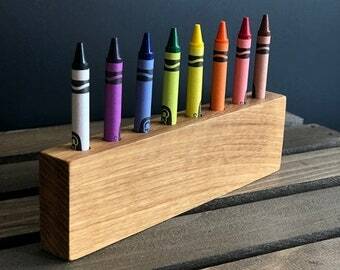 What kind of wood do you use for your chalkboards? Our typical go to wood for our chalkboards is Southern Yellow Pine. Pine generally always has those knots that we like for the rustic look. However, if a specific wood species is wanted and we can source it, then we are more than willing to accommodate the request! What material do you use for the writing surface of your chalkboards? The writing surface that we use in our chalkboards is a pre-made panel on MDF (medium density fiberboard). It isn't traditional slate, yet the feedback has been very positive about it. These pre-made panels also keep the chalkboard considerably light! 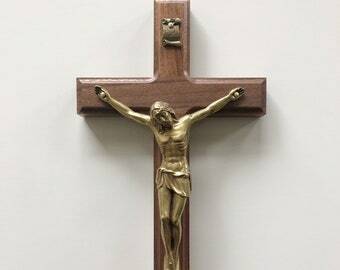 Can you build bigger crosses/crucifixes than you have listed in your shop? Yes! If you would like a custom size, please don't hesitate to message us so we can brainstorm together. No. All of the chalkboard listings we have in our shop are non-magnetic.